Lately I have been interested in the question of gesture. This interest is framed by two different lines of inquiry. The first, and dominant, one is in the transindividual dimension of gestures, or, perhaps gesture as a way of both illustrating and examining transindividuality. While gesture is not specifically named by Gilbert Simondon, the dominant theorist of transindividuality, there is a great deal of interest in it by Paolo Virno, Bernard Stiegler, Yves Citton--although only the last specifically names it as such. The general problem is the same, however, gestures, habits, and comportments are both the constitution of collectives and individuals. Gestures mark one's historical moment, one's class, nation, and other groupings, but also define and delimite a singular way of inhabiting the world. The second line of inquiry is in thinking about teaching philosophy of film in the summer and the way that film functions as both an expression and communication of gestures. Here the points of reference are Deleuze, Agamben, and Benjamin. Film is a medium uniquely suited to gesture, capturing it like no other medium through the combination of movement and close-up. This aesthetic and technical dimension directly intersects with transindividuality. Certain actors are defined by their gesture, a particular way of holding a cigarette, a cup of coffee, etc. 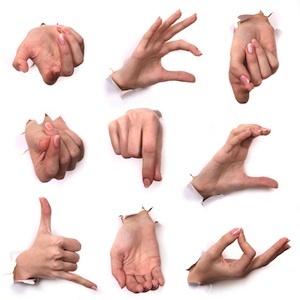 These gestures define them as much as their way of speaking. Is it possible to imitate Peter Falk's Colombo without a squint, a slouch, and a cigarette. These gestures get disseminated through films and television, becoming the basis for imitations and identities. As Jameson writes in an essay on globalization, "A great Indian filmaker once described the ways in which the gestures and the allure of walking of his teenage son were modified by watching American television..."
As much as these two different ways of thinking about gesture started separately in my mind, the first formed by an ongoing research and writing project and the second in some idle thoughts about revising a syllabus for a class, they most definitely converge. They converge through the way in which film not only demonstrates the transindividual nature of gestures, revealing their collective and singular dimensions, but also disseminates them, communicating them across space and preserving them through time. Both factors can be seen in this remarkable short video by Christian Marclay. The focus is on the telephone, but it also reveals something of the historical transformation of gestures, dialing, answering, hanging-up, and their singularity, the specific manner of holding a phone or slamming it down (or in Tippi Hedren's case, a phone and cigarette--those two great gestural props of mid-century cinema). The history that this video refers to is mostly past a bygone age; it could be as much a part of a media archeology as art. Many of the gestures that we associate with phones, dialing, the particular placement of the hand when talking, playing with the cord, and the ever important gesture of hanging-up, have vanished, or been streamlined by the cellphone. It is nearly impossible to press "end" with the drama and pathos that one could slam down a receiver. One could argue that one of the contributing factor of the post-cinematic age we are living in is the loss of a kind of gestural economy that phones, cigarettes, and typewriters made possible. Cellphones, laptops, and tablets may have brought more images into our lives, but they are never ready for their own particular close-up (although that does not keep some people from trying). Post-cinema is thus when every object has a photo function, but none are photogenic. The streamlined economy of gestures, the replacement of not only different possibilities of movement but also knowledge, dialing has as its corollary actually knowing a phone number, is part of what Stiegler refers to as "proletarianization." Stiegler uses this term to argue that what Marx described in the Communist Manifesto and elsewhere, the transfer of skills from the worker to the machine, is no longer relegated to the factory: cellphones remember numbers, autocorrect remembers words, and google maps can give us directions. Stiegler's real reference here, however, is less Marx than Leroi-Gourhan. The transformation of knowledge is also a transformation of gestures; there are multiple ways to dial or hang-up, less so to push a button. Although, we shouldn't exclude the possibility that an "app" for such thing could be developed: a button that simulates the angry slam of a receiver in its cradle. In Gestes D'Humanités: Anthropologie sauvage de nos experiences esthétiques, Yves Citton argues that this mechanization of gestures, their standardization is only one half of a more or less dialectical process of contradictory tendencies. The first of these tendencies is the standardization of gestures and movements that we have already remarked upon, a standardization that strips gestures of their expressive function. The second tendency, opposed to the first, is the increased power of gestures to be communicated and disseminated. Our new smart phones may be less photogentic but they also make it possible to turn every quotidian gesture into an internet star. Youtube is filled with gestures, some real some simulated that have become stars, become what Citton calls metagestures. the basis of future imitations--photobombing, planking, etc. I could end this post with some example of this, but I decided to let Beyonce and Lady Gaga play us out, in an awkward attempt to give a celebrity veneer to everyday surveillance. The title of this post is from a Circus Lupus song, but oddly I could not find that on Youtube. Not everything has been documented. I did not cite it because I forgot about it. So thank you. Citton discusses Barthes, but I wrote this after only reading the first hundred pages of the book.